Sunday, 10 February 1929 at 3.10pm: that’s when the first ball started rolling in LaLiga. Now, 24,895 matches, 71,149 goals, 63 different participants and nine different champions later, LaLiga is preparing to celebrate its 90th anniversary during matchday 22 of the 2018/19 season. When Valencia’s clash with Real Sociedad kicks off on Sunday, 10 February 2019, the 22 players will be participating in the 24,902nd match in the league’s history exactly 90 years after the players of Espanyol of Real Unión Irún took part in the first. Amazingly, a competition that is now considered one of the very best sports leagues in the entire world started with no fanfare, scarce excitement, a few column inches in the newspapers, if that, and scepticism. This was partly because the country was in mourning after the death of Queen María Cristina four days previously. It was also because this was the UEFA Nations League of the day, a new tournament from which nobody quite knew what to expect. Not everyone trusted the apparent smoke sellers behind this endeavour. Espanyol coach Jack Greenwell even played a rotated line-up in the match, a week after his starters had won the Copa del Rey final by conquering Real Madrid 2-1 at the Mestalla. Some had suffered knocks in the final and three players were suspended, but others were simply rested for the first match of this secondary tournament. At that point, the Copa del Rey was the competition of prestige, a tournament that had been going since 1902, which determined who the best team in the country was. The Copa had grown to include group stages and there had been a desire to eventually set up a national league like they had in England and Scotland since the late 19th century, but the question of how to structure such a league caused the first of many disputes between the clubs. 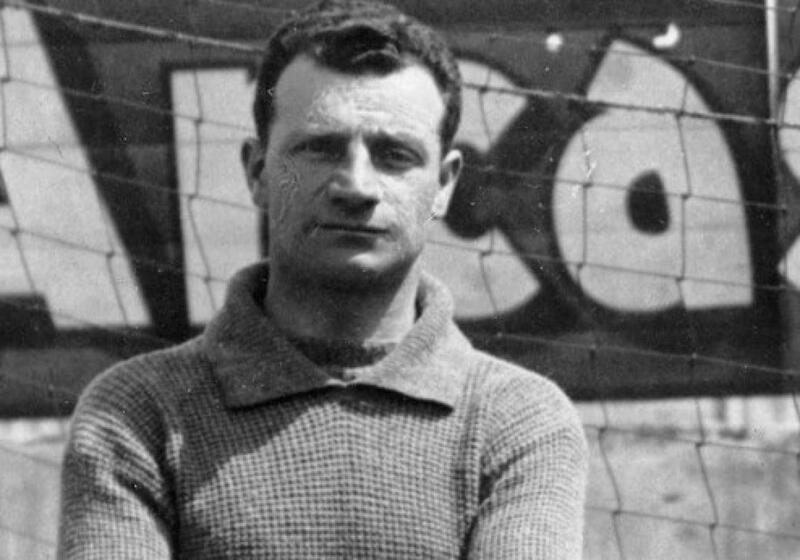 The far from frictionless discussions were led by Arenas Club Getxo director José María Acha in 1927, and there were some calling for a small, closed league, one which would only include the six institutions – Athletic Club, Real Madrid, Real Sociedad, Barcelona, Real Unión Irún and Arenas Club Getxo – that had won the Copa del Rey at some point in their history, while others wanted a larger tournament, one that could also include Copa del Rey runners-up and the best teams of the time from the various regional championships. Unable to agree on a format, the two groups set off to create their own tournaments, which was a disaster. The two LaLiga pilots failed miserably and weren’t even properly completed, with scheduling and logistics proving to be as chaotic as some would argue they still are today. Eventually, in 1928, there was a consensus and it was decided that the first ever league championship would be held in the spring of 1929. There were to be 10 teams, with the six aforementioned Copa del Rey winners all automatically guaranteed a ticket to the ball, as well as Atlético Madrid, Espanyol and CD Europe, three teams that had been runners-up but had never lifted the cup at that point in time. The final spot was to be awarded to the winner of a mini qualifying tournament, one which was claimed by Racing Santander at the third attempt as they defeated Sevilla 2-1 in the final in Madrid on the eve of the first LaLiga weekend, following 1-1 and 2-2 draws. With Racing’s place confirmed at the final hour, their first-round match against Barcelona was understandably pushed back. As such, there were just four matches on 10 February 1929: Espanyol vs Real Unión Irún, Real Sociedad vs Athletic Club, Arenas Club Getxo vs Atlético Madrid and Real Madrid vs CD Europa, kicking off in that order. The first of the fixtures was held at Espanyol’s Estadio de Sarriá, a game that cost as little as a couple of pesetas to attend. There were around 7,000 who took the Catalan club up on that offer and watched on as the team that had just claimed their first Copa del Rey title tried to commence the league with a win. The local press didn’t give the XI that only featured three regular starters much of a chance as they faced a team from Irún that was expected to do well in the inaugural championship. “Far from being considered favourites, the champions of Spain have a tough and difficult match ahead,” was Mundo Deportivo’s take on Los Blanquiazules’ chances. Real Unión Irún did pick up their game and turned things around with two goals in five minutes from Luis Regueiro at the start of the second half, but Rafael Oramas bagged a brace of his own with 60th and 76th minute goals to lead his side to a 3-2 victory, the first triumph in the history of the Spanish league. Espanyol’s position at the top of the table didn’t last long. Real Sociedad and Athletic may have played out a 1-1 draw in one of the later games, but Atlético Madrid matched their 3-2 margin of victory as they overcame Arenas Club Getxo and Real Madrid thrashed Europa 5-0 to top the table after the completion of the first match day, one which was rounded off with a 2-0 Barça win over Racing on 12 February. Real Madrid won the first ever LaLiga Clásico by a 2-1 scoreline away at Barcelona the following weekend and remained top of the table for the first 10 rounds of this maiden 18-week season, but a loss at home to their Catalan rivals in the 11th allowed Arenas Club Getxo to move a point in front of Los Blancos at the top of the pile. The club from the suburbs of Bilbao only lasted a week in first place, though, as Real moved back in front for a couple more weeks. Then, with five rounds remaining, the first of many Real Madrid-Barcelona title jostles got underway. Barcelona had been as low as ninth in the seventh week of the season, but finished strongly after replacing Romà Forns i Saldaña with Englishman Jim Bellamy. The new coach lost his first match 5-1 away at Athletic but didn’t suffer defeat again. By winning eight and drawing two of the next ten, Barcelona caught up with José Quirante’s Real Madrid. The Catalans still had a game in hand – their 13th round fixture against Arenas Club Getxo – as both sides prepared for the 18th matchday. While Real Madrid could have sealed the title with victory away at Athletic, they lost 2-0 at San Mamés at the same time as Barcelona smashed second-bottom Real Unión Irún 4-1 to move level on points with the side from the capital. Real led on goal difference by one, so a Barça loss by any scoreline in the rescheduled fixture in Getxo would see the trophy go to Quirante’s men – but a draw or victory would bring joy to those in blue and dark red. That’s exactly what happened, as two second-half Manuel Parera strikes earned Barcelona a 2-0 victory in the Basque Country, where Real Madrid’s dreams had been shattered the previous weekend. At the other end of the table, a rematch between Racing and Sevilla was set up after the former finished bottom of the first division and after the latter topped the second, the ten-team league that had been launched in parallel with LaLiga that spring. This time they met over two legs and Racing once again got the better of the Andalusians, winning 3-2 on aggregate to retain their top-flight status. It took until 1934 for Sevilla to finally make it to the top table of Spanish football after years of peeking through the keyhole, finally doing so for the 1934/35 campaign when the league was being expanded to 12 teams anyway. Alavés, Valencia, Real Betis and Real Oviedo ended up being the first four sides to win promotion into the elite, in that order. An unwelcome shake-up arrived, though, in 1936 with the outbreak of the Spanish Civil War. This meant that the seasons between 1936 and 1939 were never played, while the league hierarchies were completely overhauled even after resumption. 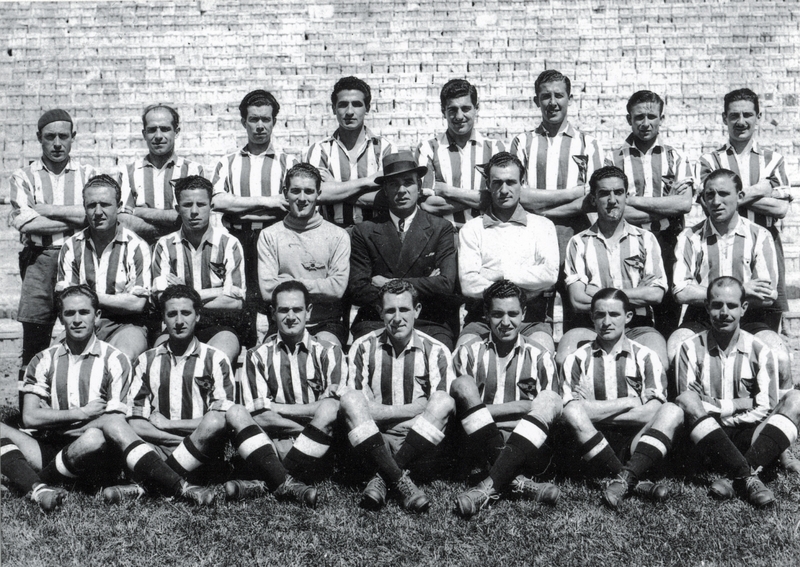 Real Oviedo’s squad, stadium and finances were in such a bad state that they voluntarily conceded their place in the top flight, leading to a one-off final between Osasuna and Atlético Madrid for the 12th spot for the 1939/40 competition. Osasuna had finished bottom of the final league table before the conflict, but argued that they’d been promised reinstatement as a thank you for the efforts of the city of Pamplona during the fighting, while Atleti challenged that petition as they had finished second-bottom in the previous championship and, although this was also in the relegation zone, it was better than Osasuna had managed. And so, on 26 November 1939, Osasuna met Los Rojiblancos, now called Aviación Atlético after merging with the Air Force’s team, at Valencia’s Mestalla for what was essentially a relegation playoff, with the side from the capital winning 3-1. Following that sliding doors moment, Aviación Atlético went on to win the first post-war LaLiga title, their first, benefitting from the excellent players in the Air Force’s team and also from their superior transport links at a time when many of their rivals were having to travel around Spain by train – and not even in first class – due to the shortage of and high cost of fuel. Over the following years, the league continued to expand in terms of participants, growing to 14 members in 1941, 16 in 1950, 18 in 1971 and to the current 20-team set-up in 1987. There were two seasons with 22 clubs, in 1995/96 and 1996/97, as a result of a failed attempt to administratively demote Sevilla and Celta Vigo for financial irregularities, which ended up seeing the Andalusian and Galician clubs reinstated after fan protests, with Albacete and Real Valladolid, the two sides that had been promised their places, also allowed to remain in a top flight that saw each club play 42 fixtures. 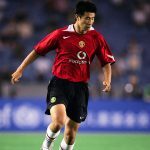 It took two years for the fat to be trimmed again, with an unprecedented five teams being relegated into the second division at the end of the 1996/97 campaign – one of which was, in fact, Sevilla. There was also a little bit of meddling with the format on one occasion, with league authorities trying out a three-way split at the end of the 1986/87 season that even Scottish football organisers would’ve considered a step too far. The 18 participating outfits met each other home and away as usual, making for 34 matches each, before first to sixth, seventh to 12th and 13th to 18th were partitioned into separate half-dozen groups for another 10 matches each, home and away again. 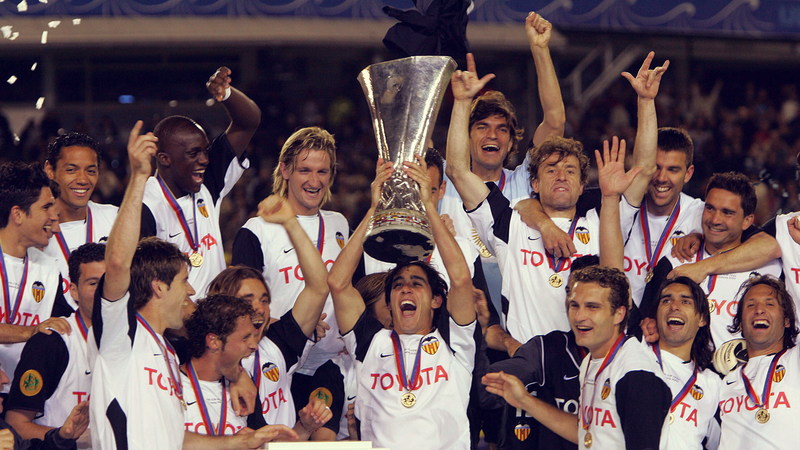 Real Madrid topped the initial table and the final table, so this experiment didn’t change the destination of the trophy, while the relegation group of death became far less interesting once it was announced during the season that the league would be expanding to 20 teams anyway, and that only one side would be relegated that year. Through all the different shapes and sizes of LaLiga, and even through that whacky 1986/87 campaign, Real Madrid have dominated this competition and lead the way with 33 titles, winning an incredible 14 across the 1960s and 1970s. Unsurprisingly, inaugural winners and current champions Barcelona follow with 25 titles, while Atlético Madrid are the only other side into double figures with their ten. Athletic have won eight, Valencia six and Real Sociedad two, while Real Betis, Sevilla and Deportivo all have a solitary title to show off in their museums. The league has certainly changed and evolved over the past 90 years. From featuring ten clubs to doubling in size; from being the secondary tournament in Spain behind the Copa del Rey to overtaking it; from ticket prices of two pesetas to ones of three-figure euros sums that only Gordon Gekko would approve of; from being run and managed by the Spanish FA to the formation of the Liga de Fútbol Profesional (LFP) in 1984; from scarce interest within Spain itself to the nine worldwide offices, 35 Global Network delegates, Clásico viewing parties in every continent and streaming on the likes of Facebook and YouTube; from complete respect for the referees to angry VAR charades signs; from limits on the number of foreigners to boasting international superstars galore; from the floral chintz curtains to the digital age. Much of it remains the same, though: one home and one away match against each opponent, 90 minutes at a time, with two goal frames and one ball. At the end of it all, there’ll only ever be one champion. 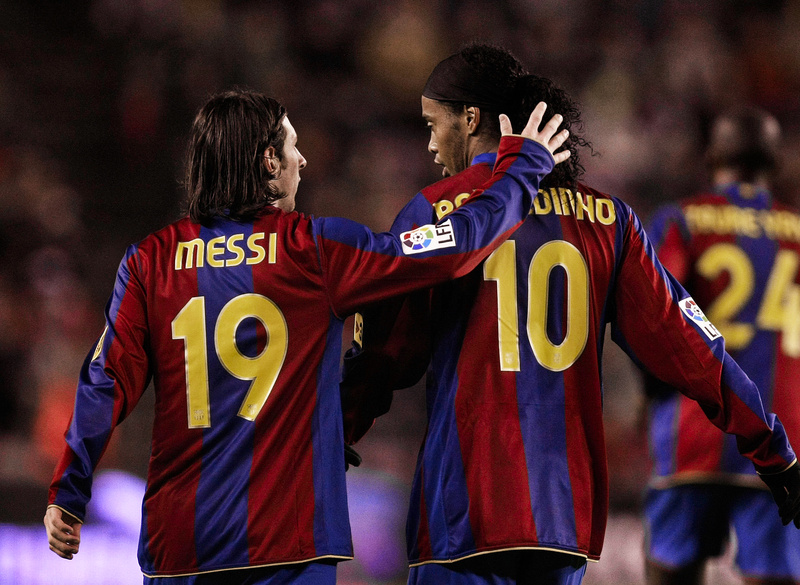 Happy birthday, LaLiga.